36 members celebrate 40 years of the MCCC. Plus the Longest-standing members gathered around for the cutting of the Birthday cake. 36 members of Mid Cheshire Camera Club attended the 40th anniversary celebration at Wednesday evening’s club night. 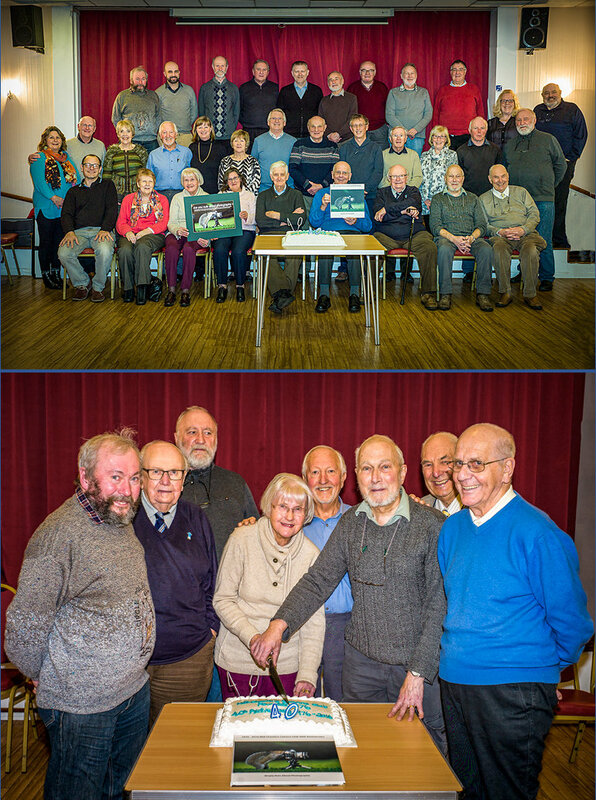 A group photo was taken of all members present and a photo was also taken of the longest-standing members gathered around the 40th birthday cake. The occasion was also marked by the production of a Club photo-book show-casing work from most of the current 40 members. Each member had two pages to display up to four images of their choice, which resulted in a varied selection of excellent images. To round the evening off the club provided an excellent buffet prepared by staff of the Dingle Recreation Centre.